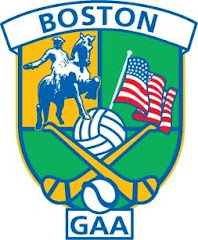 The Boston GAA season begins the middle of April. The first competitive games of the 2009 GAA season were played last Sunday with the Pat O’Brien Cup. The Sheehan Cup for hurlers and the Orla Benson Cup for the ladies footballers will begin in the next week or two. The cup games give clubs a chance to get a run out for the players and get the season going in earnest. The championship begins in the middle of May and the schedule will be available in the next week or 2. In the first round of the Pat O’Brien Cup the Connemara Gaels beat Kerry by a score of 2-9 to 0-6. Aiden McAnespies beat Armagh-Notre Dame and Galway beat the Wolfe Tones. McAnespies started their 2009 season the way they ended 2008 - with a win. Preparations are well underway around town of the 2009 GAA season. Home-based players are out training and next weekend we’ll have the first round of the Cup competitions. No doubt there are many who are just over from Ireland and have hooked up with clubs here, and wondering what to expect for the coming months. In any case, when I was leaving Ireland almost 17 years ago and making a decision on where to go, my former U-21 manager from Scoil Ui Chonaill was in Boston playing football with a club in Brighton, and my mother had a cousin in the Boston area, so to Boston I came. I wanted to play football, and had heard that there was a GAA league here. What club would I join? My friend introduced me to one of the main men involved with St. Columbkilles and I signed. There were a lot of Dubs with the Killes and it was a respected club around town, so it was a good place to be. That was 1993. Our first game was against Mayo in the cup – I think we lost it. I got booked, frustrated by the lack of space on the Dilboy field. Playing the role of underdogs that nobody wanted to meet, we made the semi-final of the championship that year only to lose to Kerry by 2 points. Kerry went on to win the championship. That was the closest I came to getting a senior football medal. Everybody on the team felt that had we beaten Kerry, and we were leading for all but the last 6 or 7 minutes, that we would have beaten Notre Dame in the final (as Kerry duly did). There was great spirit in the team and there were some excellent players that year; Keith Doyle, Gerry Franey, Chris Sage, Robbie Lambe, Tony Dunne, (Dublin), Billy Shaw (Meath), Tom Nolan (Kildare), and Eunan O’Kane (Derry), formed the backbone of the side. The next day was a baking hot Monday in late August. Hung over and with the disappointment of the previous day’s loss still lingering, myself, Mick Hallissey, and Tom Lyon (Kerrymen both) went for a round of golf. I have not played golf since, nor do I have any plans to do so. In any case, after that first GAA season in Boston homesickness disappeared. I was always a home bird by nature and did not want to leave Ireland in the first place. I came over in October 1992. I stayed out for that first Christmas. One memory I have was sitting in Mr. Dooleys with some Galway lads on Christmas Day. I hardly knew them, but they had the good grace to let me join them for the Christmas “festivities”. I wished desperately to be back home, I even told one of them that at that moment I would give anything to be back in Dublin. I missed home badly until things kicked in with the Killes the following March/April. I had found a home away from home. The following Christmas I did go home. I couldn’t wait to get back to Boston.